Birthdays are fun days, especially when they are filled with friends, birthday cake, tasty treats, and lots of laughter. 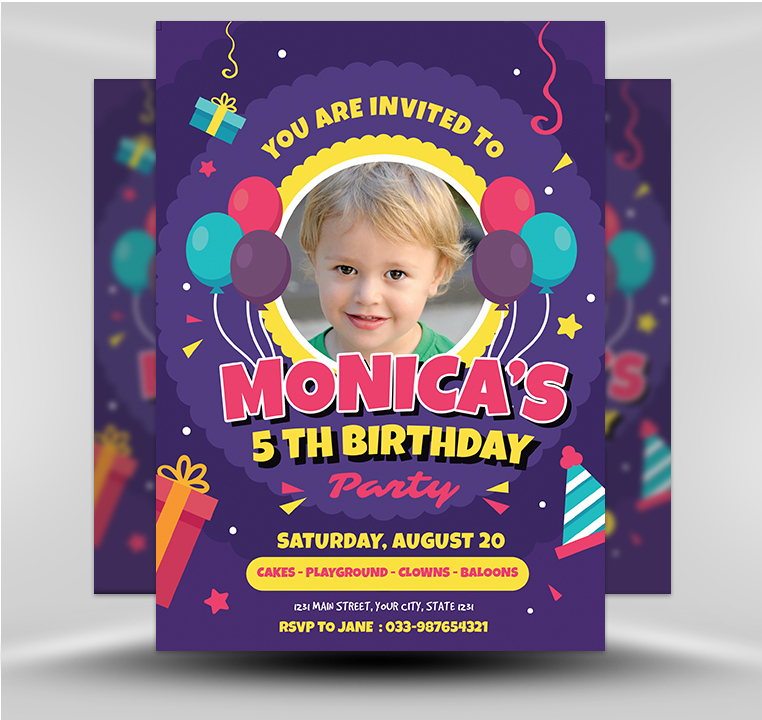 A convenient and enticing way to invite your favorite people to celebrate a special birthday is with this cheerful pink, yellow, and blue birthday flyer. 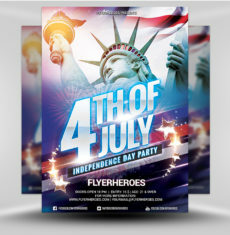 Our Kids Birthday flyer template is appealing to both kids and parents and its unisex pink and blue coloring is equally inviting to both girls and boys. The birthday celebration date is presented in bold letters directly below the “Birthday Party” banner heading so it won’t be overlooked. 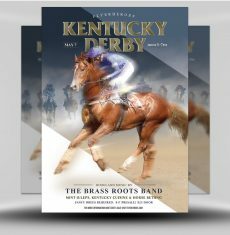 Plus, there’s plenty of room to include details on activities and to add RSVP contact information at the bottom half and footer. 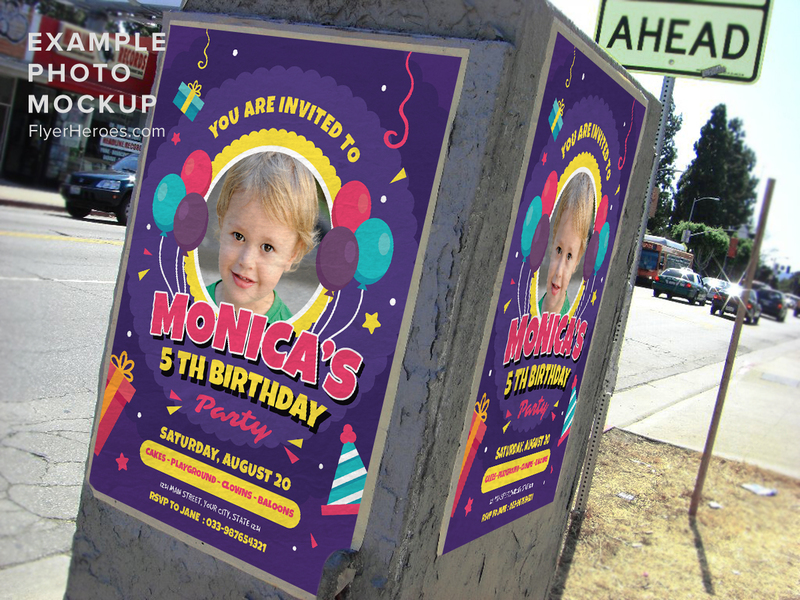 You are going to love using this template to create awesomely kid-friendly birthday flyers. 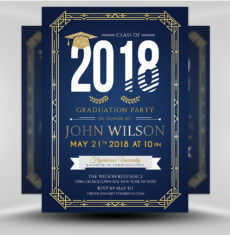 Customizing the flyer template to include essential information about your child’s birthday party is a breeze and the learning curve is minimal. 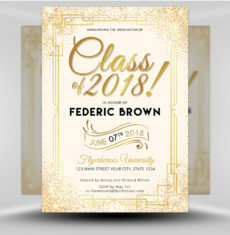 No special software program is required, and you don’t have to be a computer whiz to easily and quickly input the desired information before saving the file and printing it out. 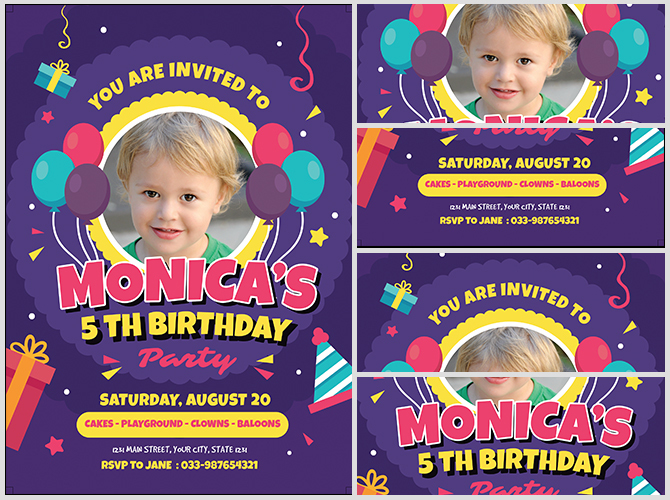 This youthfully vibrant kid’s birthday party template ensures that present and future birthday celebrations will attract lots of guests bearing presents and birthday wishes. You can use it again and again, because your purchase includes a 100% royalty-free license, ensuring unlimited personal and commercial use. 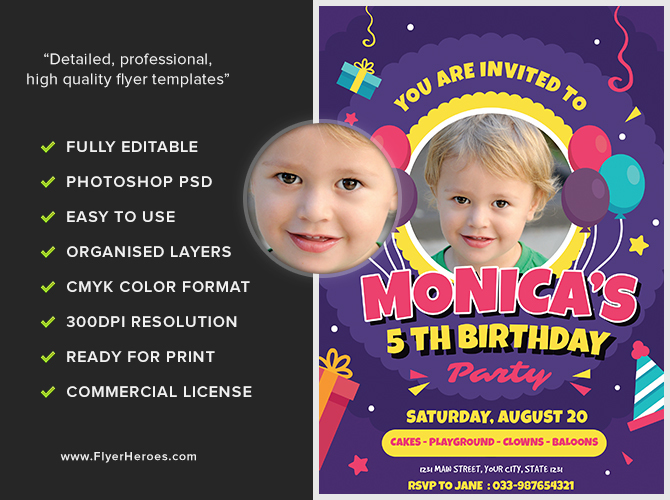 Use it to celebrate your child’s birthday year after year, in any form you please, without paying an extra fee.